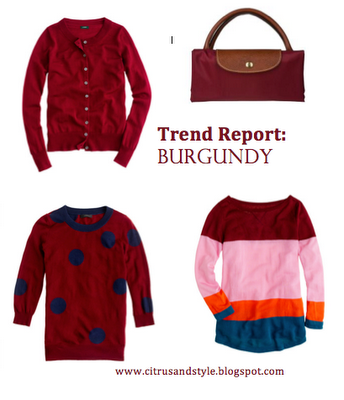 Make sure you are following Caroline from Citrus and Style for her latest Trend Reports. Take a look at the newest trend she's spotted in fashion! 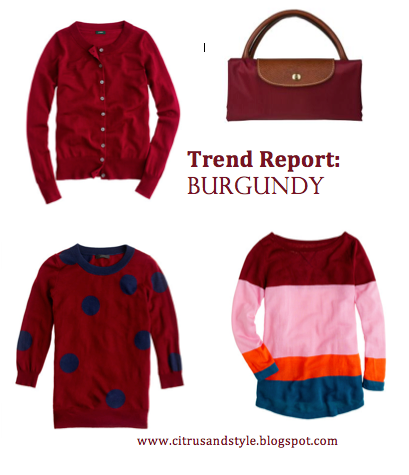 So I thought I would start yet another new tradition at Citrus and Style: Trend Reports! Whenever I notice a new trend, I am going to do a post on my thoughts and ideas of how to incorporate it into your wardrobe. 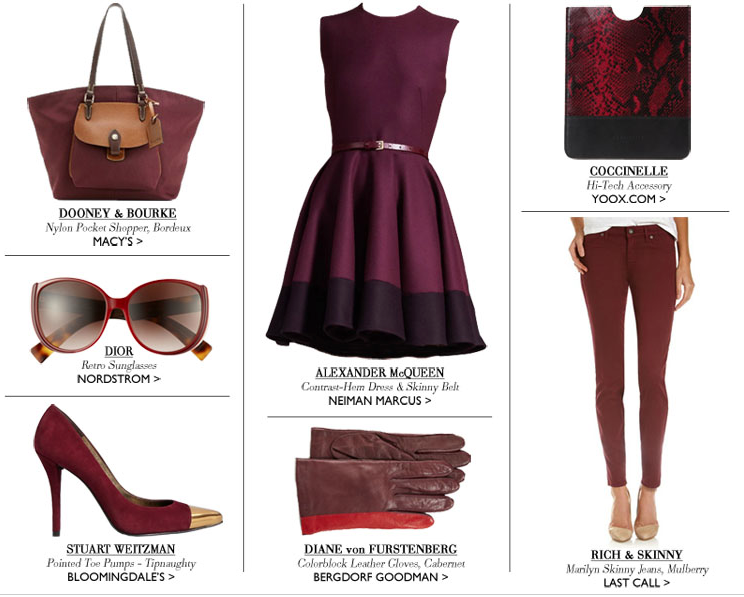 A current trend I have noticed lately is: Burgundy. Whether it be burgundy skinny jeans or a burgundy cross body bag, it seems to be quite popular at the moment! I subscribe to Designer Apparel's emails and yesterday they sent me one filled with burgundy, everything! 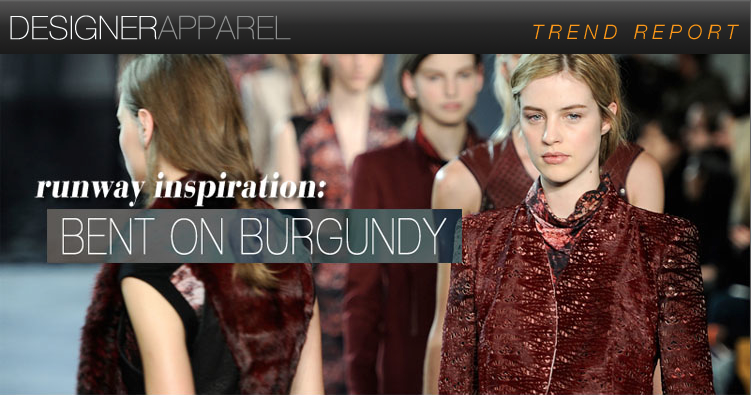 Even InStyle is (kind of, even though it looks kind of purple..) in on the trend! Are you loving burgundy? Comment below!